This post is yet another response in the debate over reading on the web. In addition to the forum bubbling on the Edge and Encyclopedia Britannica, the New York Times chimed in with a long piece on what it means to read online. I find this question to be a good canary for the many other questions about new technology: is this stuff really new, and if it is, in what way is it different? In that light the following is my response to Sven Birkerts, who was responding to me responding to him, and so on. This post may not make sense by itself. Following my reply below is a message from a young reader who emailed his response to the discussion. Clearly a chord has been struck. Sven Birkerts, the critic of web culture, is so eloquent that I want to believe whatever he says simply because I want to be in alignment with such exquisite literary grace. When reading him I crave that sense of wholeness he claims he gets from books. Who would not? But when I examine my own response to reading, I can’t find Sven’s zen. On my first reading his post, I thought Birkerts was arguing for the exceptionalism of reading, that sacred act wherein all goodness resides, and against the internet. But he then breaks down that distinction by correctly reminding us that we do indeed read on the internet. Well then, maybe greatness lies not in reading per se but in books, Birkerts says. Books as we know them. Here again, the problem is that reading books online is not that uncommon. I read many books in PDF form now. And I read many parts of non-fiction books on my computer without noticing I have gone from a web page to a book page. Books are part of the web. What about the Kindle, Sven? When you are reading a book on the Kindle, how is that any different than reading it on the web? Or from reading a paperback? Well, says Sven, than what we are talking about is the web versus novels. Umm, make that good novels. Strong, timeless stories. So in fact the argument of web vs book is really, when all is said, about web vs great story. I think this distinction greatly clarifies the argument. Do great stories have the ability to transport us to a different place than the web? Maybe. Is this place which Sven incorrectly calls the “reading space” not the same as cyberspace? It may not be. Can you get there if you listen to a great book? I believe so. Do you get there if you watch a great movie? Probably. I see now that part of the disconnect Birkerts and I have had is that Sven has been talking about books and reading when he was really talking about literature — which is probably not bound to books and reading. Since most of the books and reading I do is not literature, I could not figure out what he was talking about. Birkerts says: “My core premise is that cyberspace and reading-space are opposed conditions of sentience.” I now understand this statement to be “cyberspace and literature-space are opposed conditions of sentience.” I find this an easier notion to find evidence for (or against). Stories are so hardwired into our subconscious that it would not surprise me if we did indeed inhabit a story-space that is different from our web-based reading-space. This is a testable proposition. Do our brains work differently when we are in the middle of a story versus when we are in the middle of web surfing? I would be astounded if they were the same. But if that was all the happened — different strokes for stories than for links, then the solution to exiting the web and entering stories is easy — just read, listen, or watch more stories. But to return to Nick Carr’s proposition. His claim — as far as I understand it — is that surfing the web outside of this literature-space not only alters our brain during that time but somehow unwires the hard wiring we have for stories, so that later on we are unable to re-enter that literature-space as easily. While I understand the worry, and I hear the anecdotes, I believe now is the time to trot out the evidence. So far I have not seen a shred of scientific evidence that such a change has happened. Or even could happen. It may be in science labs; if so pointers please. My challenge to Carr and Birkerts is to propose a definition of what you are talking about sufficiently precise that it could be falsiably tested. Literacy specialists are just beginning to investigate how reading on the Internet affects reading skills. A recent study of more than 700 low-income, mostly Hispanic and black sixth through 10th graders in Detroit found that those students read more on the Web than in any other medium, though they also read books. The article makes clear that we need a much better understanding of what reading is. I’m a young guy who grew up in the Silicon Valley itself, I grew up with the web and barely remember a world without it, and I’ve used gadgets and the web my entire life as an integral part of my professional, social, and intellectual development. Needless to say, I think all this has enriched my life immeasurably, and I wouldn’t want to be without it. One of the things that surprised me most in reading this whole debate is this: nobody has yet acknowledged that it is entirely possible to read, be absorbed in, and thoroughly enjoy a book-length work of literature (or a book-length argument) on a screen. And not just contemporary works, but classics too. Not simply in spite of the availability of the web and recently-developed technologies, but because of it. Four years ago I bought my second PDA, to replace an old, creaky green-screen model I’d had for years. With this new power, I bought and devoured Haruki Murakami’s masterpiece Kafka on the Shore — not a short book. My list of classics from Project Gutenberg was just as packed. I remember reading Tolstoy’s trilogy of memoirs (the Hogarth translation), DeQuincey’s Confessions, and a great deal of Robert Louis Stevenson’s travel writings. I read some Montaigne, and Seneca. Your ability to concentrate on a long text is not a function of the medium of delivery, but a function of your personal discipline and your aims in reading. If you sit down to read War and Peace with the aim of enjoying yourself, whether you have paper in your hands or plastic, you expect to be focused on it — joyfully focused, one hopes — for hours on end, perhaps the entire day. Whereas if you sit down to catch up on your RSS feeds — and might I point out how similar that activity is to catching up on your magazine and newspaper reading, in the “paper economy”? — you expect to spend your attention in short bursts, five minutes here, twenty there, perhaps an hour on a long article that especially interests you. In my experience, the distractions the web offers are entirely ignorable when you want to ignore them, and the web also enables deep research and contemplation to a degree that stretches far beyond the invention of the open-stack public library. There are drawbacks to every age, but I don’t think that the drawbacks of ours will include the total obliteration of prolonged thought and meditation, deep research, and the joy of getting lost in a really good work of literature. People will continue to require all of those things, both for work and for personal development, and they will not go neglected for long. Jeremy’s experience is much closer to mine. I think literature-space is orthogonal to cyberspace and to reading-space. You can get deep into a book online as well as in paper, and you can skip across ideas on paper as well as online. It is true the medium is a message itself, but what we are now inhabiting is an Intermedia, the media of medias, where one medium flows into another making it hard to define boundaries. The book can be found in cyberspace and in literature space. The book may be bigger than we think. Or smaller than we think. For sure we are in the process of redefining it. Books aren’t equipped with instant messaging and social networking though. This isn’t a positive or negative thing, but surely it impacts at least the intensity of spending hours in ones living room reading an entire book. I think the Kindle vs. paperback book test is a good one. How do we react to even the smallest changes in our experience in reading. From page turning to scrolling (or pressing next page? ), from paper reflecting light into our eyes to a screen sending it directly etc. At what point in the spectrum from book to screen does any major change in our brains occur. My suspicion is that any little change in the technology of reading is vastly overshadowed by our environments. Funny… I’m going to read this article with Instapaper, an iPhone app that allows offline reading of web pages. I’m also planning to read online serialized books with that App. When you eat a soup is it the same if you eat it with a fork or with a spun? Does the soup tastes the same if the spun is very small or very large? No it doesn’t, it tastes different. Try eating a soup without a spun (just grab the bowl and drink it),it is a completely different experience, even if at then end the soup ends up in your stomach. Even if reading is an intellectual activity, it is affected by all of our senses. Reading in a screen is not the same as grabbing your book, locking yourself in a library (or in the middle of a forest) and enjoying a Kawabata poem. When you grab a book you don’t plan for distractions, when you grab a computer you enter the “multitask mode”. This clearly affects our reading behaviors, and hence the way we digest the information. I’m not saying that either way is better or worse, I’m just stating that it is different. BTW: You can’t compare reading online vs reading on a kindle. A kindle doesn’t have MSN, or Facebook, so you don’t enter the multitask mode when grabbing a kindle. You do the second you think about putting your hands in a computer. This is a good expansion on the NYT article. I only skimmed it when it appeared in my hometown newspaper. Because KK addressed it here, I linked to the NYT web edition and read the whole thing. This is Intermedia in action. The main concern seems to be for the next generation. I recall similar concerns about my generation being “raised by television”. My grandparents probably fretted over how the telephone was killing the gentle art of correspondence. I have two teenagers. One reads, the other doesn’t. The reader spends about as much time browzing the web while watching TV as she does quietly immersed books on American history. She wrote fan fiction when younger and writes well today. We read to both of them when young, made books available, but it just didn’t “take” with the non-reader. She simply has no appetite for elective reading. She spends her free time reviewing Myspace pages, searching for music videos (we don’t have cable), texting her friends… and browzing while watching television. She has learned how to glean answers from high-school textbooks, but she doesn’t write well. I’m afraid that she will not learn to think well… to use language skills to sort out conflicting ideas and emotions, to detect rhetorical manipulation, and to compose her thoughts and opinions coherently. This, I believe, is the great contribution of reading book-length works of fact or fiction, no matter what the medium. I read Neal Stephenson’s wonderful “Cryptonomicon” when it first came out years ago. I bought the 928 hardcover and loved it. When it came time to read it again (some books need multiple readings, eh? ), I bought the eBook for around $7, despite the fact that I still own the hardcover. Why? Because I already carry around my phone (Pocket PC_, and the 3 lb. hardcover is just a bear to lug. So… was my reading experience on the phone different? Of course. I was able to read in more places and in more circumstances. I “whiped out” the phone while in line at the bank and read for 5-10 minutes. 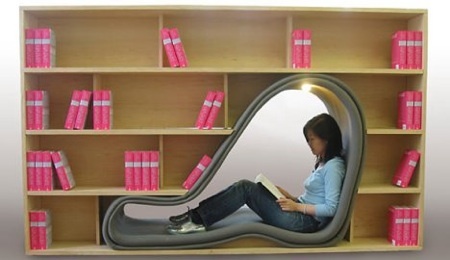 I read comfortably while standing almost anywhere. I caught a half hour to read while waiting for a film to start. I read while lying in bed, which is harder with a heavy hardcover. I could read in low light without bothering my wife, as my screen is backlit. The whole “you can’t read an eBook on the beach or in the tub” argument is, I think, a complete read (sic) herring. How many books have you read on the beach or in the tub? There are far more times when you are in circumstances where a book on your phone would be much handier, especially when you compare the ability to have many books on one device and download directly from the Web. The device isn’t the issue, really. If you take the time, you can become comfortable with different containers for your media and enjoy them for their differences. The issue, I think, is one of distraction. Which makes the big question this: is the Web inherently distracting? Or is it any more distracting than that which distracts us apart from the Web? For me, “reading space” is a place inside me. It can happen in a nice, quiet library or den, in my living room, on a bus, in a noisy restaurant… almost anywhere. The “space” is my permission to myself to enter into the work. More doorways into reading means more time spent in that place. More is better. We’re all mummers here. We think we know what we’re talking about, but what really do we know? Can any of us perceive the world as, say, Henry James or James Joyce did? How about Tolstoy? Homer? Even Haruki Murakami? All of these authors exist in different worlds, different cultural contexts, and their means of appreciating the written (or spoken) word vary wildly. Throughout history, the contours of “literature space” have been in constant flux, and it’s as ridiculous to assert an equivalence between media as it is to assign relative value. For better or worse, electronic media are here, and they are reforming our consciousness — to the degree that the young man reading classics on his PDA honestly can’t see how radically altered his experience of those works truly is. Get yourself born a hundred and fifty years ago and read Melville by candle-light, and tell me it’s the same as reading him off a Blackberry in line at the bank! Actually, I read my kindle in the bathtub. I have a plank that goes across the tub which I set it on. I also read paper books in the tub. I have been known to take my laptop into the bathroom as well. Don’t tell anyone. I used to have a Newton Messagepad, which in response to a “bigger iphone scree”, well, that was it. and it came out just 2 years after the 1st public url. (atleast i think it came out in 1993). I spent many hours reading great works of classic fiction (thanks to project guttenburg and newton user groups) on my Newton while riding the city bus to and from work and school and home and also while sitting at coffee shops. The huge indiglo backlit screen was much much more gentle, that is to say more readable, than the CRT monitor i am staring at right now and for the last 2 hours. PLus the battery would last for 2 weeks!!! And i took copious notes of lectures at school on the Newton in my own normal handwriting! And i listened to music on it! I am fully aware that the Newton was simply too ahead of its time but i have to laugh to myself when i realize that what people keep clamoring for was already invented more than 10 years ago. It was mass manufactured, misunderstood, thrown away and forgotten. I am a reader, and i feel very strongly about the astounding illiteracy of the next generation of youth from current 19 and 20 yearolds and elementary kids. It is alarming and disturbing to realize just how many kids are distracted by mtv and myspace and even ipods. they will not have an understanding of the world of literature besides harry potter. And that is a “fantasy” world that may lead to a bewildered illiterate new world. i would like to write more but i am just passing the halfway mark in “Atlas Shrugged” and i’m thirsty for that ending. I want to believe. I want to read on electronic devices. I want to ‘feel’ the calm, the engagement and enter that inner space that for me at least comes from dead tree versions. Marshall McCluhan: ‘the medium is the message’ – is the device part of the message? A book is single focus, almost impossible to have ‘continuous partial attention’ whilst reading. Are multi-focus devices (including the kindle) part of the problem? I continue to try, and recently read ‘Roo’d’ on the iphone: loved the white text on black background, all other lights off, in bed at night – falling asleep whilst reading, and then not waking up with the ‘book’ digging in to me! I want to be able to carry my whole library with me, I want to be able to free up space in my house currently filled with paper copies (the ipod experience in print effectively). I also want a device with enough real estate, robustness and ease of use. We aren’t quite there yet. Thanks KK for the inspirations. I read books on a screen easily – a good quality monitor is no harder to read than a printed book. And if it’s a badly printed book, it may be easier. If we’re talking paperback novels, I could go either way very easily. Hardback books are another story. There’s something about sprawling across the couch with a hardback book that adds to the experience. Something about the weight of the book, the heavy paper, the texture and smell of it – I don’t know exactly. I don’t find it with all stories, but I have some authors and some genres that are just more enjoyable in hardback. My main objection to online reading is the cost – the cost of the device, and then the cost of downloading the books. Sure, many classics and partial books are available for free, but the stuff I really want to dedicate that much of my time to is not free – it’s contemporary literature. I haven’t looked at prices in about six months, but the last time I did the price of an electronic book was generally a dollar or more higher than the cost of the printed book. For that, I might as well get the printed copy, forget the expensive reader, and not have to worry about charging the batteries. Of course, I do have to store and – eventually – dispose of those paperbacks when they no longer interest me. For me, I spent the first twelve years of my life almost completely separated from modern technology. I ran into old computers in preschool once, and a few times here and there in grade school. But there wasn’t one of my own in my house till I went through the effort to earn the money for one right before I went into highschool. I bit my teeth on classic scifi. I have more than four hundred novels, most of them science fiction and fantasy, but some of the classics. I also have an assus eeepc. And I find that when I can’t find a volume in paper, I go out, get the entire series in some digital format, and read it on the little computer. Minus the fact that the digital copies don’t look as nice on my shelf, to me, the experience is much the same. Also, for scientific and technical information, I find that digital often works BETTER for me. The latest information isn’t in a book printed last year. I don’t think digital copies will ever surpass paper for me because I enjoy having the novels on my shelves. But for convenience and portability? Nothing beets digital. Sven’s position is blurry, but appealing in its romance. He seems to be unclear what exactly he is defending, but very clear that, whatever it is, its a very precious and dear thing. He raises the legitimate criticism that, for now, the Internet is not a very good fictional story-teller. Perhaps its because the flood of subjectivity washes the very idea of fixed, linear fiction into a sea of fan-fiction and mashups. Maybe we have to update not just the concepts of reading or books, but the concept of stories, even outside their containers. As far as screen vs. page goes: McLuhan observed that any change in our media changes our perception. Hegelian zeitgeist observed that meaning also changes based on culture. Today, both change rapidly and constantly. Tolstoy is not the same on a Kindle as on a page. But as Jeremy points out, this is all for the better, for it is these differences that train you to switch seamlessly between the deep, contemplative thinking that Carr and Sven hold dear, and the pond-skimming, thin-slicing so passionately defended by Shirky. Reading, like writing i feel is an experience which dwells highly on the mode/medium of its operation. Very few writers i know, and these are the computer literates that i am referring to, do not prefer to put there words directly on a Wordsheet aka computer form. For me as well the words flow better when it is with ink and paper. Old school if you say, perhaps i am. I think the migration of enthusiasts from the fragrance of the printed paper to an electronic gadget is a distant future, what we might see though is that reading as a culture gains more importance with the electronic media coming into force. I cannot back this claim up with substantial evidence as this is just a line of thought as of now. At the end what matters is that those who want to read, get what they want. Whether on paper or on a tablet pc, that will eventually be a individuals choice. I do however appreciate the effort of the writer and his views on the subject. It was nice reading it.